Miami In Talks W/ Arizona For Boldin! 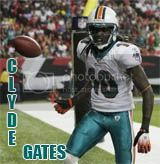 Post subject: Miami In Talks W/ Arizona For Boldin! Just an FYI, on 620 Sports Radio this morning (the local Phoenix, AZ Sports talk show) they reported that Miami were in active trade talks with the Arizona Cardinals for Anquan Boldin. Just an update from Phoenix for what ever it's worth. Post subject: Re: Miami In Talks W/ Arizona For Boldin! Sounds like some good news in the receiver front. If it's true, and we don't give up too much, what a great day! If it's true and we DO give up too much, The question is, how much is too much? For me, I'd be happy to give a 3rd rounder but not 1st or 2nd. I know others will disagree, but I think we have too much building yet to do to give away the top picks. Maybe Porter & a 3rd or 4th rd? with this uncapped year there is gonna be tons more trades! Just for the record, the KTAR.com (the radio station's website) makes no mention of such trade talks. What did you hear it on? A guy that lives in Arizona said he heard it! and passed it on! That must make it true! It's just trade talks you guys are acting as if the guy came on here and said a trade was done. He's trying to update us on something he heard on the radio... jeez cut him some slack. I think it will happen .... its just 3 years to late. Hope we dont give up much. Maybe we can trick them to give up Fitzgerald. LOL Mitch. We are three years too late for him. He's an over 30 reciever with a history of injuries. well i heard that sheri said that her cousin, who is from denver, told rachel, who lives in tampa, that Anquan told her sister's cousins best friend that they were in trade talks. And sheri said rachel never lies about nfl wr trades dealing with a possession type receiver going to miami. I hope he doesn't turn into another Booker or Boston, if he does come here. If they are able to bring him in here it will help Bess, Camarillo & Ginn with their matchups. I personally think Bess would take it to another level with a legit #1 WR like Boldin making opposing defenses pay attention to him. Ginn might develop into a good #3 WR. Eh no, he's trying to update us on something he claims his friend claims he heard on the radio. Either way... it's a good way to get a discussion going, no need to crucify him. yeah no ???? just tryin to give us something to talk about! Seems to me that coming to this forum and saying that his brother's cousin's best friend's neighbor heard this or that is a way to get everyone here to crucify you rather than start a discussion. no worrys ill keep it to myself next time! Hey, that good enough of a source for me. I agree, I don't know what all the fuss is about. I appreciate the Arizona radio news update on Boldin. I am still hoping he isnt the answer, but so many other things need to happen in order to get Dez Bryant or a Brandon Marshall, who are both my personal choices as the best wide outs to nab. Boldin would be a nice fall back, but he has been hurt an awful lot, so his durability concerns me.